Returning to the territory he so brilliantly explored in his masterful New York Times best seller American Gods, the incomparable Neil Gaiman offers up a work of dazzling ingenuity, a kaleidoscopic journey deep into myth that is at once startling, terrifying, exhilarating, and fiercely funny, a true wonder of a novel that confirms Stephen King's glowing assessment of the author as "a treasure house of story, and we are lucky to have him." Buy this audiobook! 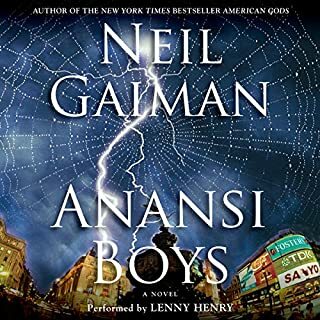 The pairing of Neil Gaiman and Lenny Henry is a gift to lovers of audiobooks. You will not be disappointed.